One of the most important elements of a video game to me is the ambient music, particularly when it comes to games that involve immersive 3D environments. While it might be okay to have hip-hop music running in the background while playing Need For Speed, that type of soundtrack is really not befitting of the mood of a game like Doom in my opinion. I was just chatting via PM with a fellow member of the Nexus Forums about this very subject in regard to the popular Bethesda games and how I consider it to be a bit of an art form to be able to select music from a variety of sources and assemble the tracks into a soundtrack that actually makes sense to have in the given game. (Long ago I replaced the vanilla Oblivion soundtrack with my own hand-picked music, and the player I was chatting with similarly did a major music overhaul for Fallout 3.) After I had finished with that message I realized that I needed to make a post about the subject here. 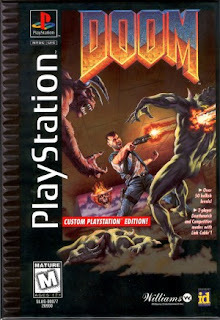 Before I joined the multitude of PC owners I played Doom in a variety of different incarnations from the Super Nintendo to the XBox. Each of these console versions contained the music from the original game, or a very similar rendition of it. 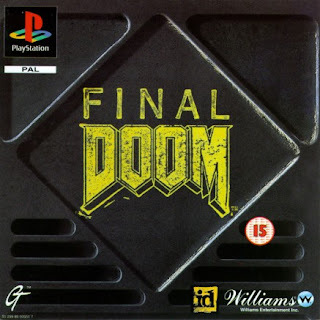 However, there was one very unique soundtrack for the Midway/Williams/GT versions of Doom for the Playstation and Sega Saturn that was completely different, and I fell in love with it. I'm referring to the music composed by Aubrey Hodges. Unlike the twangy and often annoying and monotonous midi soundtrack of the original Doom where only half the tracks actually seemed to fit the mood of the game in my opinion, the Aubrey Hodges soundtrack for Doom (I believe) is a masterpiece that perfectly fits a game where the theme is exploring the deepest reaches of Hell itself and battling the endless hordes of demons therein. Many of the tracks have a very evil sound and convey the feeling of forlorn hopelessness one would expect to feel when finding one's self in such an environment and situation. After my Dooming experience on the Playstation I refuse to play the game with anything else. But simply describing this soundtrack does not do it justice; you have to hear it for yourself. The WAD file that I use while playing Doom with GZDoom can be found and downloaded here, at the Doom Depot. Or, you can sample the individual mp3 files to see if you will like them first and download them that way as well, but to use those while playing the game you would either have to use an editing tool (which I'm not going to discuss until later) to pack them into a WAD or pk3 file yourself or simply play them in the background with a media player while you were running the game. The WAD file is by far more convenient and much simpler for newcomers to use and is already configured to work with Doom I, Ultimate Doom, Doom II, TNT: Evilution and The Plutonia Experiment. 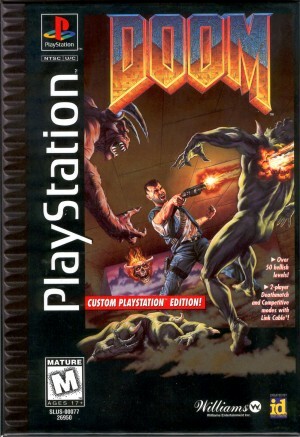 Also available at the Doom Depot is a WAD file containing all the music from Doom 64. I believe this soundtrack was an attemt to emulate the Aubrey Hodges music, but the music is more like a random collection of electronic noises and in my opinion does not serve to convey the mood of the game quite as effectively. However, when I'm in the mood for some variety I'll play classic Doom levels with the Doom 64 music as well. But, if you're a Doom purist and insist upon the original PC soundtrack, the Doom Depot also makes available mp3 versions and enhanced WAD files of the original midis, thus allowing you to enjoy all your Doom favorites with improved quality. It's my hope that Doomers both new and experienced will find this info useful, and even if you're not a Doomer maybe you'll find something in the music I've described that will work well for you in another game. Who knows unless you check it out? Until next time, happy Dooming! I know that one of the first things I do when installing a game is turn off the music; even if that means editing an ini file or deleting the files myself. Why? Video game soundtracks - like movie soundtracks - are almost universally horrible. They try to artificially set "the mood"; when the story and atmosphere of the game itself aren't good enough to do the job. Worse yet are the ones who don't even bother trying for a mood, and instead pick music based on what's cool at the time. I don't think I've ever listened to a single piece of the music from Oblivion, other than the main menu track (before I got rid of the menu's background movie altogether). Fallout 3 I did listen to some; but the in-game radio is so buggy that it wasn't usually worth the rise in crashing incidents. Plus, I y'know, hate Three Dog's voice and want him to die and all. On the whole, I find a stereo to be a much better option. Turn it up and down, switch tracks, turn it off completely at whim. No crappy menus to deal with; no one else gets to decide what I listen to, no impact on game performance; and since it isn't coming through the same speakers, it doesn't tend to overpower the actual game sounds so bad. Then again, we've long since established that I'm a heathen well past saving. Don't worry Nos, you're not an army of one. It's a pretty rare game that I have music enabled. When there's no option to get rid of the music it's turned as low as possible. Like you, I want to hear what's coming up behind me or zinging past my head. I invest a lot into sound on my gaming boxes sound card and speaker wise ... if I want music I'll dig out some of my old Zeppelin CDs. ...and you both present fine examples of why, as I've said, I put considerable effort into creating my own soundtracks for the games that I like the most and thus will spend the most time playing. The soundtrack shouldn't overpower the other aspects of the game's experience; it should be off in the back, perhaps without you realizing it contributing to the atmosphere of whatever you're doing in the game at the time. But don't get me wrong here: there was a time before I got so into modding that I, too, simply turned the default game music off and cued something up on the media player. As I've said, the original Doom music annoyed me fairly quickly, so I turned it off and played Cannibal Corpse, Deicide or Kreator instead as it seemed fitting. And, since Bethesda apparently has no clue at all how to do battle music, there was a time when Cannibal Corpse was all my Oblivion battle tracks as well. Since then I've of course expanded the scope of my perhaps eclectic game soundtracks, but I really do get where you guys are coming from. You know; it may seem shocking, but for all the music I listen to, I don't actually invest much in my PC's sound hardware. I'm running my onboard sound; through a set of... hold on while I look... Logitech speakers. Whatever was cheapest that I had heard of when my last set died. Had a high(ish) end card once. I forget the brand, but it was one that had the external "break out box" that went with it. Great unit, except that the headphone jack died within a month, and it was completely incompatible with XP. And y'know, Herculine, your comment takes me back. Makes me think of the first time I ever decided a game needed better music. Wolfenstein 3d (the original; not the crappy remake of several years ago) and the album was AC/DC's Who Made Who. These days, I find that I generally prefer shooting stuff to either things like VNV Nation, or weird stuff like Gregorian chant cover-albums. Not that Maiden isn't still fun when the mood strikes, mind you. I agree that game music can be very hit or miss. BTW, you linked twice to GZDoom instead of Doom Depot. Thanks. The links are fixed now.